I’m developing curriculum for our Social Media Residency program, which we put on through the Mayo Clinic Center for Social Media. The course I’m doing right now is Blogging 101: Getting Started with Blogging. So I’m writing a post to show how all of the formatting tools work… or at least to give a sense for the basics. So while the rest of this post might not be particularly compelling or meaningful for you, if you participate in Social Media Residency you will get to see the end product. You also can get access to the module if you or your organization join the Social Media Health Network. The WordPress formatting toolbar lets you make text bold, italic or underlined, and you can strike though to acknowledge your goof-ups instead of covering your traks tracks. Please don’t go overboard in using colors in your posts. Just because you can use colors doesn’t mean you should, any more than you would mix lots of fonts in a printed document. You also can have various header styles. In a future post in the Social Media Residency curriculum we will deal with inserting images, videos and the like, but this will hopefully give our residents enough guidance to write their first post. Chancellor’s Note: For his exemplary work in applying SMUG principles to his work, Jason Tetro (a.k.a. The Germ Guy) is today receiving his honorary doctorate (the only kind we have to offer) from Social Media University, Global. This is his doctoral dissertation. For the better part of the last 30 years, science was my vocation and I was comfortable with life in the lab. The job was always interesting and results continued to satisfy me. If I spent the rest of my life as a so-called ‘lab rat’ I would have been content. That all changed in 1999. It was not only accepted, but heralded by the newspaper and earned me a plum position and a photo that perhaps wasn’t the most flattering but did change people’s perspective of me. Instead of being viewed as a threat to society, I was a bellwether for others to speak their mind. For months, I interacted with hundreds of people, most of whom I didn’t know. I listened, learned, appreciated and shared. In a way, it was my first encounter with what was to become known as social media. 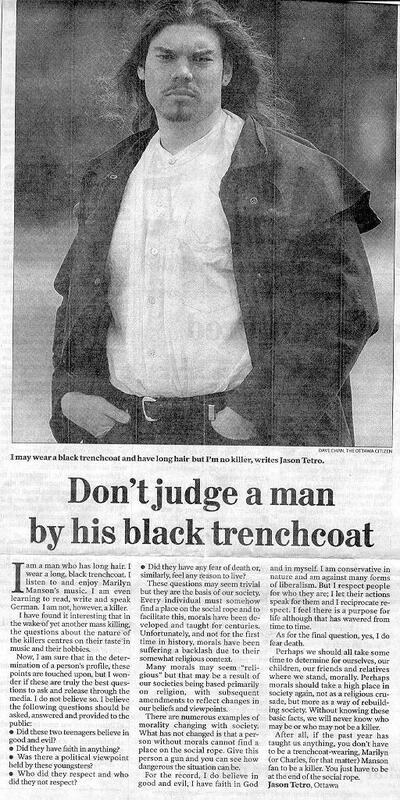 Shortly afterwards, an editor at the newspaper called me up and asked me if I would be willing to write more. I had concerns but was not about to decline the offer. For the next two years, I wrote as a community citizen, never accepting a cent in return. Over time, I learned how to engage others to give them the ability to act beyond the words on paper to make their own differences in the community. The response was tremendous and I heard countless stories of the human experience, many of which could not have happened without my contribution (or so they said). Some people treated me like their friend, even though I had never once met them. Others asked me to become engaged in their cause (I would normally decline as I was still professionally a ‘lab rat’). But perhaps the most rewarding (and humbling) experience occurred one evening on a bus when I was surrounded by three individuals who obviously recognized me. They told me that there was a group of twenty-something individuals in the Ottawa area who not only followed me, but developed their course of action based on my articles. I asked why they didn’t act out on their own without my example sparking them. I should point out that although one might think these experiences may have convinced me to be a leader; they did something completely different. I wanted to be a communicator or broker of knowledge. I had a passion to be a hybrid of the 4Es – Entertainer, Educator, Expresser, and Engager. I wanted to be someone that made differences. I was just starting my thirties and honestly believed that it was time to take the rat out of the lab and into the real world. 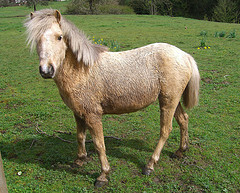 However, to follow the metaphor, once I was out, there were more shrieks of discontent than appreciation of the effort. The next years were hard as I explored various avenues of media to continue my passion for engagement. I tried filmmaking with little success; writing fiction, while interesting to scientists, went nowhere. None of my attempts to interact with journalists seemed to work either. It seemed that what I was selling was just not wanted. I sadly believed that the world just wasn’t interested in science as a part of their daily lives. It wasn’t until almost 5 years later that I realized I was working ahead of the curve and that my efforts were quite simply misplaced. In early 2007, I was asked to help in the development of a news article on “Germs.” The premise was pretty simple: Germs are everywhere but don’t panic! The reporter decided to make it fun but still educational. The result was a success for us and a hit with the public! While this was not the beginning of the “Germ Guy” (I was actually known as the “Fun Guy” (homonymous with fungi), it did create the spark. 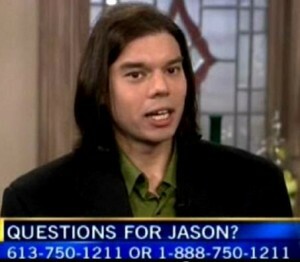 Less than a year later, I was asked not only to take part in live segments on “Germs”, but also to take live questions. I had trepidations but was not about to say no. And so, following my 4E’s, the segment became a popular addition to the noon show, the feedback was always positive and soon, the “Germ Guy” became a reality. It wasn’t long before I was asked about the location of my website or blog or Facebook account. I’ll be honest, I had been using the internet since the late 1980s and thought of myself as fairly savvy but in reality, I was well behind the times. In all the work that I had done in the traditional media, I had yet to explore the avenues of social media. I couldn’t have imagined what I was missing! My first experience in social media was twofold. First, I set up a Facebook account although I wasn’t sure about whom to friend or not friend. I was indiscriminate and thankfully was amazed at the interaction. Discussion topics were as wide as the greatest panorama and for the most part, were well-tempered. The second was the initiation of the placement of my segments on the web (many of which you can still see by visiting my website). Linking to the videos was easy and I was able to bring all my Facebook friends to the site to view the segments. Soon, I was gaining friends, many of whom were looking forward to talking with the Germ Guy and in many cases, to gain the opportunity to ask questions just like on TV. By the end of the first year, I had been bombarded with comments, messages, and queries; it was almost all too much. Yet it was only the beginning. When the station held an open house, I was welcomed as a member of the family and placed in a highly visible zone. I was amazed at how many people I met, how many hands I shook, how many hugs I received. Despite all the joy, there was a significant downside. It was becoming clear that Facebook was not the avenue to follow. The critiques were growing from those who believed that they were as capable as me and wanted to let me know this usually in private but sometimes in the public foray. In addition, some of the topics I discussed were controversial and at times I found myself on the wrong end of campaigns. This was no clearer than when one segment, in which I supported the flu vaccine against the H1N1 virus, ended up being shared with anti-vaccine advocates. Soon I was embroiled in hundreds of messages and comments from these people who served no higher goal than to belie, berate and besmirch me until I broke down and disappeared. I quite honestly tried to fight, but had to give up. I learned a hard lesson that day and have realized that it is now a tenet of social media: if enough people find you to be their enemy, there will be no cessation until you are defeated. After that horrible experience, I stayed away from Facebook and within a few months, moved to Twitter. The learning curve was high but I found myself enjoying this realm. Tweeting, Re-Tweeting (RT) and commenting on tweets were a joy and each 140 character contribution was an experiment in the 5Es. Much like a graduate student, I tested various hypotheses and had many lessons to learn. Sometimes I would make a mistake and have to apologize for the lack of judgment or awareness. 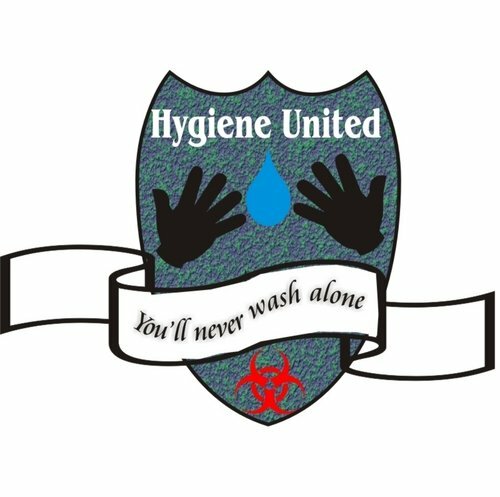 Other times a test would end up with nary a mention; the tact would inevitably end up in File 13 such as the following “Hygiene United” avatar idea. But there were times that something worked and with some further experimentation, I realized what would make a success. And so, for the next half a year, I tested various Tweets to hone in on the successes both in the Twitterverse and its interaction with other existing means of social media including blogs, aggregators, videos and presentations. The experience was enriching but there was still something missing. The first time I heard of the Social Media University, Global, I was actively searching for sites that would help to take my experiences and put them to action. The site was impressive while the logo, motto and overall atmosphere of the site reflected an academic focus that many seem to miss: education isn’t dry – it should be enjoyed. And, besides, who wouldn’t want to be called a ‘SMUGgle’? Initially, I was taken aback by the wealth of information available and also the spirit with which the topics were presented. Chancellor Dr. Lee Aase not only provided a strong and yet easily understandable curriculum for learning, but also gave direction as to how one might use their skills and create social media success. In addition, the collection of easily accessible and readable theses showed how each SMUGgle has used the true power of social media to their success and tips and tricks as to how others can do the same. To be honest, I didn’t just learn from SMUG, I absorbed. Over time, with reading, reasoning and reflecting, I acquired the resilience to continue my journey towards being a true social media champion. I felt that it was time to step out from the social media background and start becoming a leader. It was time to share my vision, act on my mission and achieve my social media goal. Chancellor Aase would call this my capstone. I simply called it #handhygiene. I started the hashtag on May 5th, 2010, the annual Hand Hygiene Day promoted by the World Health Organization. As I imagined, it started off slow and it took about a month to get into a groove whereby I was using the tag whenever I could. At first, I gleaned from other hashtag conversations, such as #ptsafety, #infection, #germs and #hygiene, and RT them with the #handhygiene hashtag. I also started looking for terms that would be related to #handhygiene such as “handwashing”, “hand hygiene”, “clean hands” and even “dirt” and “grime”. Each day, I would find between 10 and 20 items to RT along with tweets of my own. It was clear I needed a strategy. It was clear that I needed a blog to support the work that I was doing with #handhygiene. A blog could go further than the 140 characters of a tweet and more importantly, could attract and keep an audience. Not to mention it would provide more depth to the goals of the “Germ Guy” and provide a direction for the future. In the summer of 2010, I started “The “Germ Guy” Blog: Confessions of a Mercurial Microbiologist.” I felt the title had the right amount of curiosity and alliteration to bring people to the site regardless of the content. And the image, which I found thanks to a great webinar on hand hygiene, was just priceless. I tried to post at least every two weeks but found myself lost. At times I was just not sure of what to say. At others, I was just afraid; I wasn’t sure I could engage people with something as simple as #handhygiene. I felt that the blog might actually harm my hopes with the hashtag rather than help it. I spoke with several people in social media but there were no answers. No one had the magical answer and even if they did, they were not about to share it. I found myself lagging both in confidence and unfortunately interest. It wasn’t until I attended a seminar and met up with a colleague I had not seen in years that the answer hit me. Turns out I was the one to be mused and my block melted. I went back to my roots. All the strategies that I used in my newspaper posts were now the basis for my blog posts. The techniques of alliteration, storytelling, metaphor and more importantly, positivity came back to me immediately and the posts improved dramatically – as did the popularity. By the end of the year, the blog was gaining between 20 and 50 views a day (quite an accomplishment for something as anathema and uninteresting as germs). But more importantly, the original targets for #handhygiene were now starting to not only read but also use the hashtag. Municipal, state and provincial governments were using the tag as were major information sharing groups. The number of #handhygiene tweets grew and over the winter holiday season, when I had little to no interaction with Twitter, the tag was sustained. I have to say that these successes gave me a true sense of contribution. But the zenith of my joy came when the World Health Organization (@whonews) itself, the ones who provided the spark for the tag, adopted #handhygiene for its posts on World Hand Hygiene Day 2011. @whonews It’s 5 May, over 13,000 hospitals aim to improve #handhygiene with WHO SAVE LIVES campaign. It took a year but the capstone was in essence complete. Since May 5, 2011, I haven’t been using social media much. It’s not that I feel it’s time to move on but rather the fact that the successes I have achieved are now starting to translate into action in the real world. I am now talking with a half dozen international countries in the developed and developing world that have approached me to develop strategies to improve their health and hygiene. I am regularly talking behind the scenes with media and my hand and card are always taken at galas and other events. It’s an entirely new world for the ‘lab rat’ but I am ready to learn and find ways to use the 5Es to attain success and bring the world closer to better health and hygiene and of course, the benefits of using social media. As I accept this honorary doctorate from Social Media University Global, I would like to express both my gratitude and my wish to share my experiences with you as your new Associate Professor. I’ve experienced much over the last decade and I cannot imagine not sharing it with the global social media community. And so, with the blessing of the Chancellor, Dr. Lee Aase, I will, over the coming months, develop a course to facilitate efforts in the 5Es and to provide opportunities for mentorship. I hope that everyone reading this will enroll in the course and find the lessons to be useful and easily adoptable. But more importantly, I look forward to hearing of all the successes that are to come. I thank you for your time and as this is a social media environment, would love to hear your comments. Note: This is reposted from what was originally part of the “page” structure of this blog. 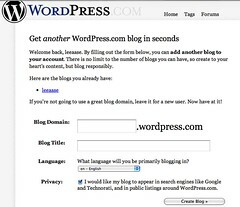 It shows what you can expect when you decide to start a blog on WordPress.com. Congratulations! You now have a blog! It’s that simple. It’s really that simple.